With a history that traces back to 1933, Asanoya started as a store catering to foreign embassies and diplomats of various countries in Karuizawa, Japan. With an increase in demand for European-type of bread, Asanoya was the first in Japan to introduce Spanish-made stone oven. The oven traps and radiates heat from a fire, either built within the oven itself or in a firebox that vents into the oven. Specially designed for baking of bread, the oven is able to store several hours' worth of heat after completely burning a load of wood. 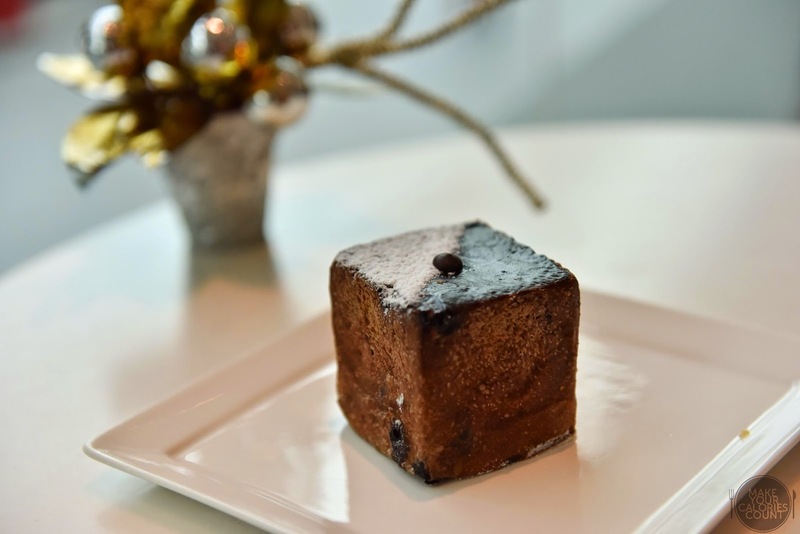 Showcasing more than 30 types of bakes, the flagship product at Asanoya was the fruit rye loaf with orange peel, rum raisin, walnuts and almonds on rye dough. Available only in half or full loaf, we decided to pass but managed to get a sample of it to taste a balanced level of sweetness and fragrance. Oozing with decadence of cocoa, the little cube was indeed calories worthy, with a chewy and fluffy chocolate-flavoured bread containing a rich chocolate molten core. 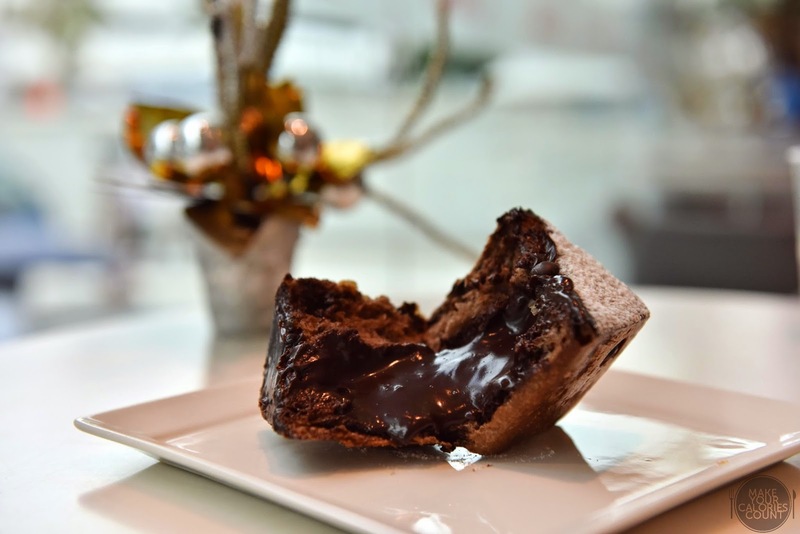 We enjoyed the dense chocolate on the inside which had just the right level of sweetness to please our palate without any satiation. We also learnt that you can request for the cubes to be heated up so on your visit, it would be a handy tip to bear in mind! While this plain looking banana bagel did not receive a 'Baker's Recommendation' tag, it surely deserves a lot more recognition. 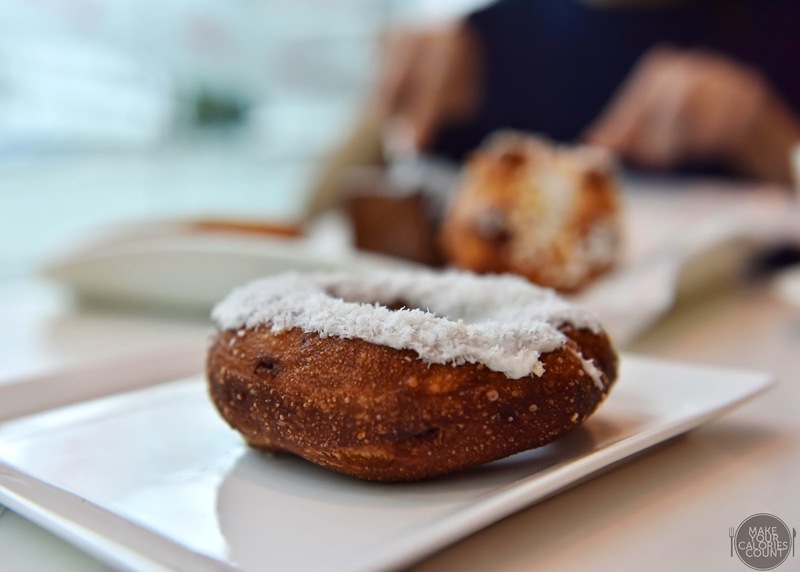 An inconspicuous bagel of caramel dough with dried banana imported from Japan, it is further dipped in coconut fondant. Like the chocolate cube, the sweetness of the bake was very well contained and a cup of Americano paired it just fine. The combination of caramel, banana and coconut fondant sounded overwhelming on one's palate but it went surprisingly well. An all time favourite snack of mine, this fluffy bake checked all the criteria of a good buttery brioche. 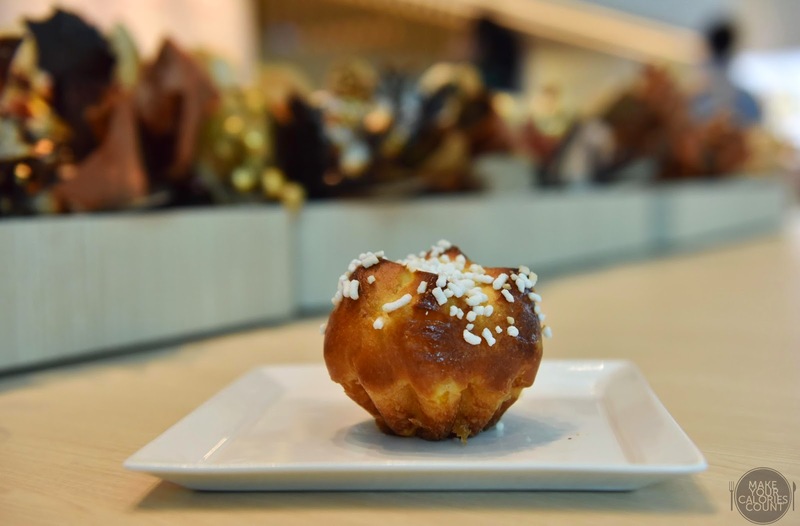 With dried orange peel generously tucked within, the seemingly dry brioche was actually soft and relatively moist. The coarse sugar pieces made all the difference with a medley of textures with each delightful bite. 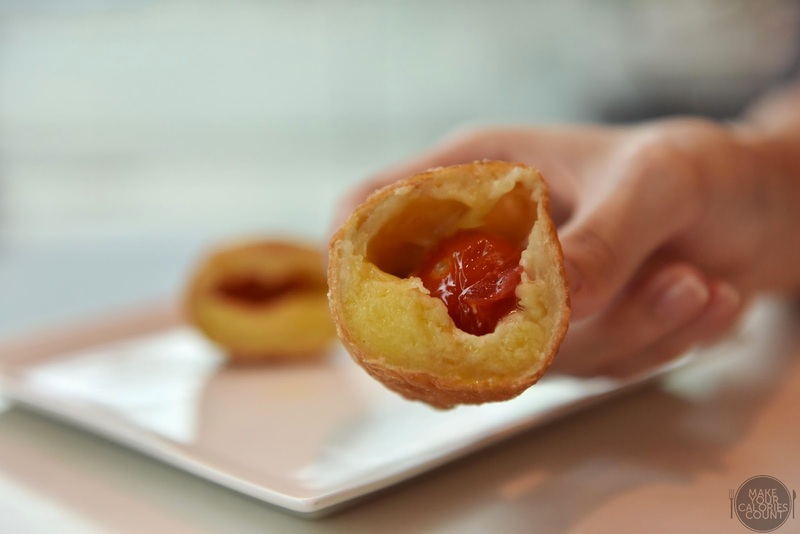 What seemed like an innocent donut was anything but, concealing cherry tomatoes and mozzarella cheese with pizza dough on the inside. We loved the chewy texture on the inside as the cooled mozzarella cheese worked its wonder. Be warned though that the cherry tomato centre bursts easily so be prepared for that! The tantalising treats were elegantly showcased but with plenty of golden brown delicious-looking bakes on offer, it took us moments before we could make up our mind on which ones to try! There were a couple of other recommended pastries such as the maple walnut and apple cinnamon that we would return to try. 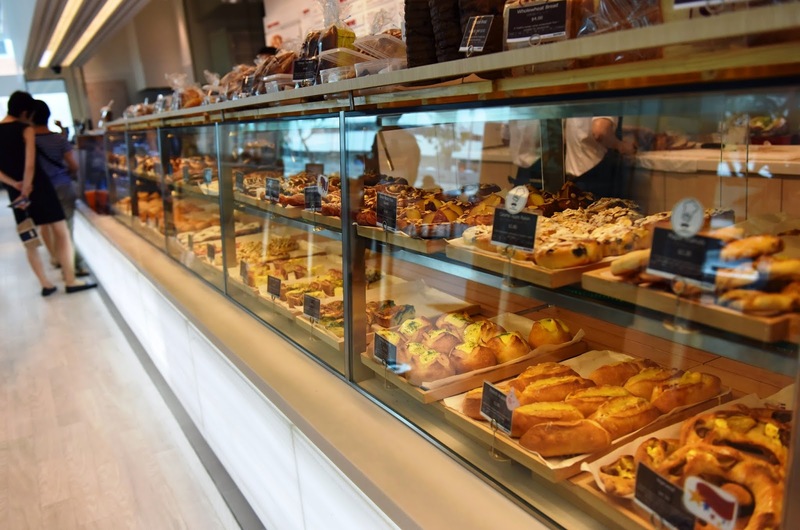 Being a huge fan of Japanese patisseries or rather bakeries of any forms, I found Asanoya a close match to Maison Kayser, one of our top-ranked bakeries in Singapore. Offering quite a different range of sweet bakes, it was a touch more creative with a separate dessert menu and even offer alcoholic drinks (yes, they carry my favourite Asahi beer!). 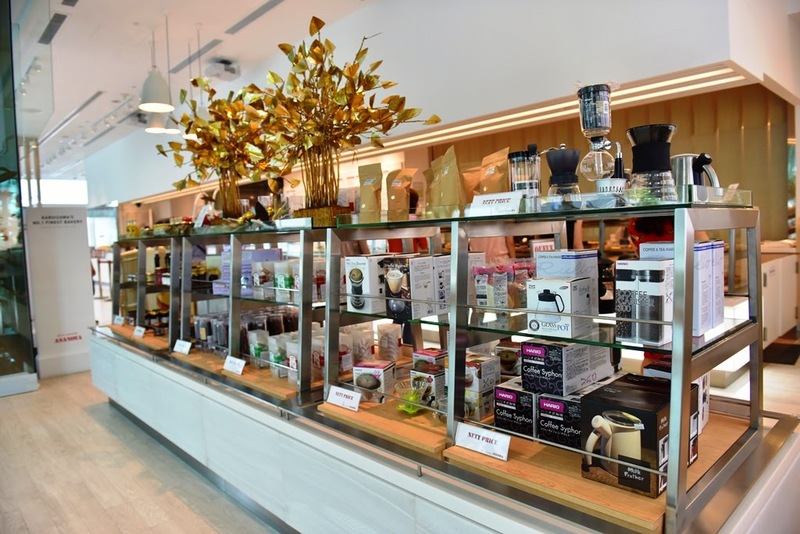 Apart from the bakery section, there was a separate portion to the bakery which retails different types of tea, coffee and even appliances. In terms of customer service, it was passable since everything was pretty much self-service. If there are any items which require waiting time such as drinks and sandwiches, you would be handed the UFO buzzer that calls for your attention to collect it at the self-service kiosk beside the cashier. Note to self - never to visit after a hearty lunch meal as we were too full to try anything else and there were easily another two or three pastries that looked too good to miss! Definitely returning to satisfy my curiosity! P.S: All pictures were taken with Nikon D810.